This chapter identifies challenges and requirements for resource sharing to support high performance distributed Service-Oriented Computing (SOC) systems. 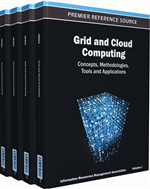 The chapter draws attention to two popular and important design paradigms: Grid and Peer-to-Peer (P2P) computing systems, which are evolving as two practical solutions to supporting wide-area resource sharing over the Internet. As a fundamental task of resource sharing, the efficient resource discovery is playing an important role in the context of the SOC setting. The chapter presents the resource discovery in Grid and P2P environments through an overview of related systems, both historical and emerging. The chapter then discusses the exploitation of both technologies for facilitating the resource discovery within large-scale distributed computing systems in a flexible, scalable, fault-tolerant, interoperable and security fashion. The advances in information technology (e.g. Internet, distributed computing technologies, etc.) have created a new way of doing businesses electronically, and therefore brought about a revolution in e-Business (or e-Commerce). In e-Business models, organizations or enterprises are no longer limited by temporal or geographical distribution and are enabled to automate business processes such as buying, selling, exchanging data, services and products that across enterprise boundaries via these underlying advanced technologies. The entities consisting of an e-Business system can be reused and extended across disparate applications over diverse computing platforms. However, most existing enterprise’s business systems over the world are heterogeneous. They invariably use disparate systems and technologies. Some are new and some are still supported by backend legacy systems. Many of which are proprietary and can never work together, for example, Enterprise Resource Planning (ERP) systems, Customer Relationship Management (CRM) systems, Workflow Management (WfM) systems and so forth. To seek for a good e-Business solution, it is therefore a fundamental task to make business processes work efficiently among enterprises in an interoperable and integrated way, which must be measured based on the performance and scalability with QoS assurance. Most of major IT organisations such as IBM, Microsoft, Intel and SAP have moved towards the service-oriented paradigm and have developed languages and standards to support service-oriented applications in business, health, education and government, for instance, banking systems, retailer systems and hotel booking system. Despite encouraging existing work, there are still open issues on how to deliver a scalable, flexible, fault-tolerance, high-performance and secured distributed business system.